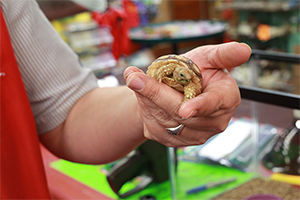 You can buy goldfish anywhere (and we have those too), but what about large veiled chameleons, ferrets, cinnamon doves, or a baby bearded dragon! 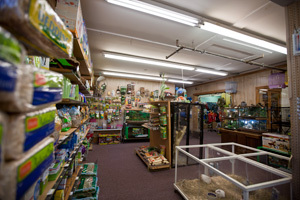 Our Pet Shop is home to unique animals you can’t find anywhere else, expertly cared for by our loving and thoughtful team. Ask for Cindy if you have any questions! Even if you aren’t looking for a pet, come say “Hi” to the baby bunnies and sweet guinea pigs. Our animals don’t mind your admiration. It’s like a trip to the zoo. 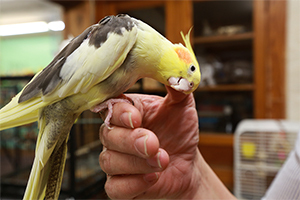 An aviary of hand-tamed and exotic birds of all shapes and sizes. 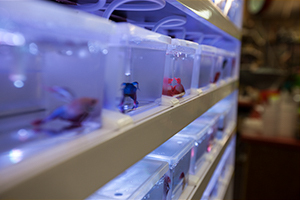 We have an exciting aquarium of fish, both big and small, tropical and beautifully ordinary. Betas and unique aquarium kits (like picture frames), so get creative. We also do special orders on other unique pets like spiders, just ask! Keep up with our menagerie and newest additions on our Facebook. 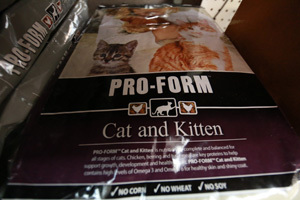 Cat and Dog food with trusted name brands, Vermont made, and grain free options. 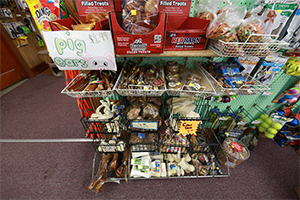 Plus treats, bones, and other tasty chewies. Catnip. Does that belong in food or… hobbies? For your fish we have those flakes they love. For small animals we have alfalfa, pellets, mixes and hay. 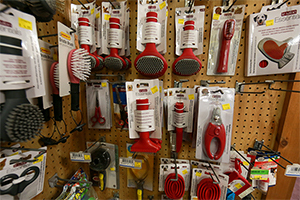 Along with water and food accessories. Buy by the pound pellets and mixes. Pre-packaged bags of hay, alfalfa. Mini bales of locally grown orchard grass. You have your pet, now you need everything else. 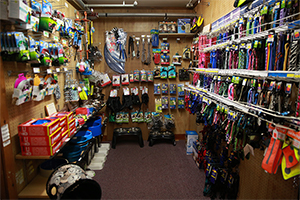 Luckily we have everything else, and a seasoned staff who can help you navigate the selection to find the perfect fit for your four legged, two clawed, multi-finned, and fuzzy pawed family members. 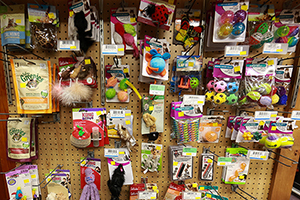 Tick, flea, and other over the counter treatments. Beta Kits with unique bowls and setups like picture frames. So you can be as creative with their habitat as you like! Tropical fish kits 10 and 20 gallon sizes. Kits for everything you need in one easy, take-and-go, package. All different sizes and types. Kits with everything you need in one easy take-and-go package.